Fall is upon us and time to show team spirit. It’s time to start decorating the car to support your team on game day! Yet, not at the expense of a vehicle’s paint. Here are a few ways to keep a car safe from damage, but still be decked out for the home team. The first thing is to make sure that the car is squeaky clean. A great wash can reduce the residue that can cause scratches when temporary decorative materials are applied to your car. Microscopic dirt on the painted services can cause scratching when a magnetic decoration is applied over the dirt. The dirt can get caught in a paint pen causing scratches when used on painted surfaces. We suggest only using a temporary paint pen or window chalk designed decorate your cars glasses surfaces. Then after the big win, make sure to remove all of the paint and applied decorations as not to set the material into the paint job. Immediate, or close to it, removal provides the least possible damage to the vehicle. 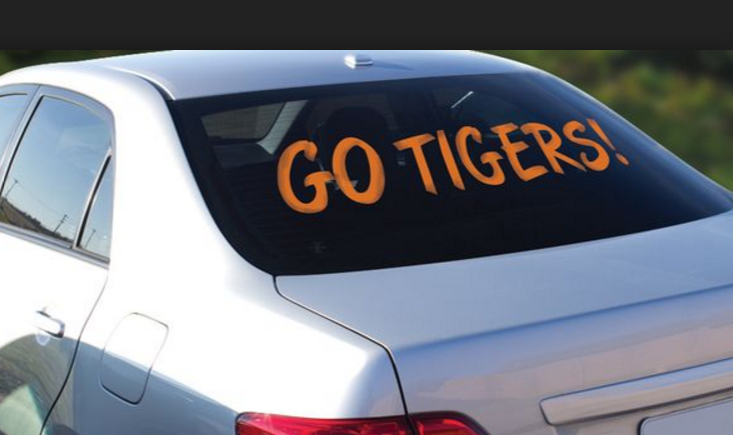 Other things to think about when it comes to a car’s paint and game day, are logo stickers. While displaying a team’s brand is a must, sticky adhesives that clings to paint can be a problem if not applied and removed properly. Try putting magnets on the back of the sticker instead for easy removal, so the cleanup is easy and damage free. Adhesives can be bad news when it comes to damage. They can be difficult to remove, and can stay on a car for long periods of time before they come completely off. Having a clean car to apply the logo is the best option to prevent scratching the paint. Some ‘damage free’ alternatives are a window flag, license plate frames and even state issued personalized license plates with your team logo (when available). Other ways that a die hard fan can show support with their vehicle without the damage is music. By playing a fight song or other musical representation of the team is an alternative to adding decor. Window cling decals can be a cleaner option to window paint because they can be used over and over again. After the game, no matter the outcome, get the car ready for the next one with $5 off a Signature Shine for a limited time.